Ta ble o f C ont e nt s .
Ne w C ol le c t ion s .
Ca mbr id ge Col lec t ion Hand-Knotted of Wool & Viscose. Hand-knot ted in India of wool and viscose, the Cambridge Collection is a finely crafted and stately neutral. With intricately regal motifs, these designs will add a sophisticated yet striking appeal to any dĂŠcor style. C la r a Col lec t ion Power-Loomed of 100% Polypropylene. The Clara Collection is timeless and classic with a beautiful, old-world design in a variety o f c o l o r c h o i c e s. Po w e r- l o o m e d i n Tu r ke y o f 1 0 0 % p o l y p r o p y l e n e , t h e s e d e s i g n s m i m i c t h e beautifully textured effect of high-end rugs at an affordable price. Da nte Col lec t ion Power-Loomed of 100% Polyester. Take your room to new heights with the eye-opening and dynamic Dante Collection. Power-loomed of 100% polyester in Turkey, Dante is a dramatically bold choice for any room, with a thoughtful and innovative interpretation of traditional rug design. This collection is available to all Loloi dealers, but is unrestricted by MAP (Minimum Advertised Price). Cur re nt c o l ors. Tradi ti on al de si gn s. Meet t h e D an te Colle cti on . Eh ren Col lec t ion Hand-Tufted of 100% Wool. 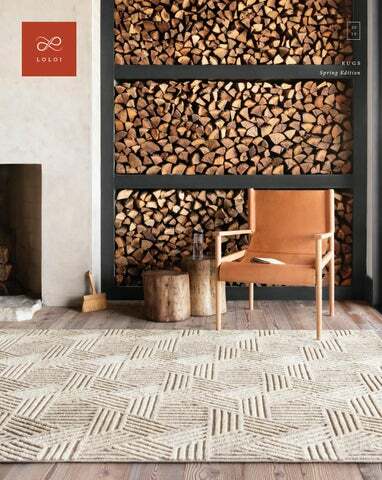 Hand-tufted by skilled artisans in India, the Ehren Collection has a neutral palette, which is offset by strong, yet textural geometric patterns creating a subtle, long-lasting rug made of 100% wool. Nat ural , n e utral, n uan ce d. Int roduc ing the Ehre n Collecti on . Em met t Col lec t ion Hand-Loomed of Viscose & Wool. Artisans in India have captured old-world beauty for the modern home in the beautiful Emmet t Collection. These pieces are crafted of viscose and wool, with antique-inspired designs that mix modern motifs through variegated yarns and contrasting high/low texture. E vel i na Col lec t ion Ha nd-Woven of Viscose, Cot ton, Polyester & Wool. Hand-woven in India with a luxurious blend of viscose, cotton, polyester and wool, this calming collection of contemporary neutral tones will add balance and warmth to any space. Ha lc yon Col lec t ion Ha nd-K not ted of 100 % Wool. Hand-knot ted in India of 100% wool, the Halc yon Collection is crafted with variegated yarns composed in a staccato rhythm for a sophisticated appeal. Ha l lu Col lec t ion Hooked of 100 % Wool. Designed by Justina Blakeney for Loloi, the Hallu Collection is hooked of 100% wool by artisans i n I n d i a . E c l e c t i c a n d d r e a m l i ke , t h i s c o l l e c t i o n i s a n e y e - c a tc h i n g f o c a l p o i n t f o r a n y s p a c e .
Brighte r c o l ors an d bolde r pat te rn s. Jus t in ti me f or spri n g.
Isador a Col lec t ion Power-Loomed of 100% Polypropylene. Keep both feet on the ground with the Isadora Collection. Power-loomed of 100% polypropylene i n E g y p t , Is a d o r a d i s p l ay s a f i e l d o f p i c t u r e s q u e a n t i q u e - i n s p i r e d m o t i f s , a c c o m p a n i e d b y a richly modern color palet te for a sophisticated design to sweep you off your feet. La i z a Col lec t ion Ha nd-K not ted of Wool & Viscose. Hand-knot ted in India of wool and viscose, the Laiza Collection is an abstract expression of pattern that continually shifts tones in the light. Available in a large size range up to 11’6” x 15’. L en non Col lec t ion Hand-Loomed of Viscose, Cotton, Polyester & Wool. The very definition of sophistication. Hand-loomed in India, the Lennon Collection is a graceful b l e n d o f v i s c o s e , c o t to n , p o l y e s te r a n d w o o l . A n e m b o s s e d - l i ke p a t te r n d a p p l e d w i t h to n a l striations, the Lennon resonates in a variety of decor styles. Luc ia Col lec t ion Power-Loomed of Polypropylene & Polyester. Power-loomed in Turkey of polypropylene and polyester, the Lucia Collection is a beautifully rich statement piece to add a layer of sophistication to any room, with a high/low pile and a curated color palet te for a high-end look at an affordable price. S t r ik ing texture . Stun n i n g colors. A s t andout collecti on . Maddox Col lec t ion Pr inted of 100 % Polyester. Printed in China of 100% polyester, the Maddox Collection is a bold yet striking twist to the c l a s s i c c o w h i d e . A t h o u g h t f u l p a tc h w o r k d e s i g n c r e a te s a v e r s a t i l e r u g f o r a b e a u t i f u l f o c a l point to complement any roomâ&#x20AC;&#x2122;s decor or layered over a larger, bohemian or transitional rug for ultimate designer appeal. Ma sa i Col lec t ion Hooked of 100 % Wool. M i k a Col lec t ion Power-Loomed of Polyester & Poly propylene. Power-loomed of polyester and polypropylene in Egypt, the Mika Collection is a truly spectacular d i s p l ay o f a b s t r a c t a n d t r i b a l - i n s p i r e d d e s i g n s. T h e te x t u r e d y a r n a d d s b e a u t i f u l d i m e n s i o n and creates a truly unique look that is long-lasting and durable. Each piece is accented with a blanket stitch finish. Odessa Col lec t ion Pr inted of 100 % Polyester. Printed in China of 100% polyester, the Odessa Collection is a modern take on a classic cowhide rug, and elevates the room with artfully placed gold and silver metallic accents. O dessa is a budget-friendly alternative for cowhide rugs, with long-lasting durability and easy maintenance. Pereg r i ne Col lec t ion Hand-Tufted of 100% Wool. Hand-tufted of wool by skilled artisans in India, the Peregrine Collection feels naturally soft underfoot and features linear details with neutral tones juxtaposed with variegated pops of color. D edic ated to the de tai ls. Co mmit te d to the craf t.
P r it i Col lec t ion Hooked of 100 % Wool. Hooked of 100% wool by skilled artisans in India, the Priti Collection offers exciting colors and fresh designs for a contemporarily bohemian look. 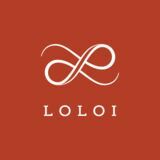 Designed by Justina Blakeney for Loloi. Th e bri ghte r the colors, t he b e t te r the rugs. Reid Col lec t ion Power-Loomed of 100% Polyester. Power-loomed of 100% polyester in Egypt, the Reid Collection elevates any roomâ&#x20AC;&#x2122;s decor with a neutral canvas and beautifully blended brushstrokes of color. Rei na Col lec t ion Hand-Knotted of 100% Wool. From a rich, worldly palet te and weathered pat terns, the Reina Collection is hand-knot ted by a r t i s a n s i n In d i a f r o m 1 0 0 % h a n d - s p u n w o o l . T h e b o l d d e s i g n s w i l l m a ke t h i s c o l l e c t i o n a n eye-catching focal point for any space. Sk ye Col lec t ion Power-Loomed of 100 % Polyester. Ne w D e s i g n s .
El i x i r Col lec t ion Hand-Knotted of 100% Viscose from Bamboo. Inspired b y stunning rock and canyon landscapes, the Elixir Collection transports rooms to beautiful topographies. The fluid designs are hand-knotted in India of 100% hand-spun viscose from bamboo, ensuring a refined shine and long-lasting quality to the collection. Hei rloom Col lec t ion Hand-Knotted of 100% Wool. Jav a r i Col lec t ion Power-Loomed of Polyester & Polypropylene. Designed for looks and engineered for long-lasting durability, the Javari Collection takes the floor to new heights. The distressed all-over patterns are modernized through bold colors that enliven and transform the rugsâ&#x20AC;&#x2122; surroundings, while the power-loomed polyester and polypropylene construction ensures very limited shedding. L eg ac y Col lec t ion Hand-Knotted of 100% Wool. Intricately hand-knotted in India of 100% wool, the Legacy Collection eschews trend in favor of enduring timelessness. The refined yet versatile selection has been deliberately distressed and sheared down to an extra low pile, creating a patina usually only imparted through decades of wear. Legacy is available in an impressive range of sizes up to 12’ x 18’. Sien ne Col lec t ion Power-Loomed of Viscose & Acrylic.